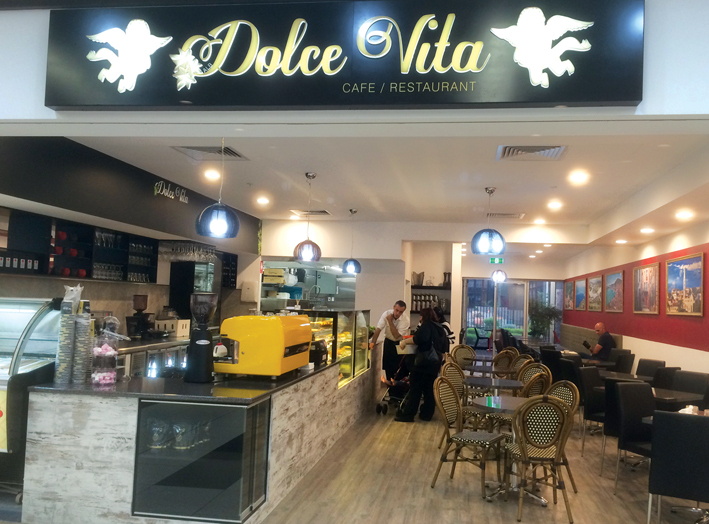 Dolce Vita Café/Restaurant at Woodcroft Town Centre. For a great selection of coffees, teas and cakes. Open for breakfast, lunch and dinner. They have a delicious menu for meals and great service. Sit down and enjoy the relaxed atmosphere, meet friends and family. They are located at the Aldi side of the centre.